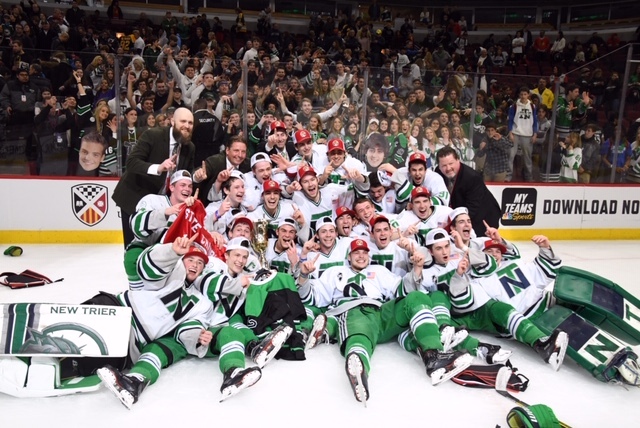 New Trier Green sat in the locker room March 3 at the North Shore Ice Arena in Northbrook, having just lost 2-0 to Loyola Gold in the Scholastic Hockey League Championship Game. Every Trevian was sad, disappointed. The Trevian coaching staff was sad, disappointed. Head coach Bob Melton looked around the room and reminded everyone that tomorrow is a new day – and the team’s ultimate, season-long goal of winning the state championship was still obtainable. 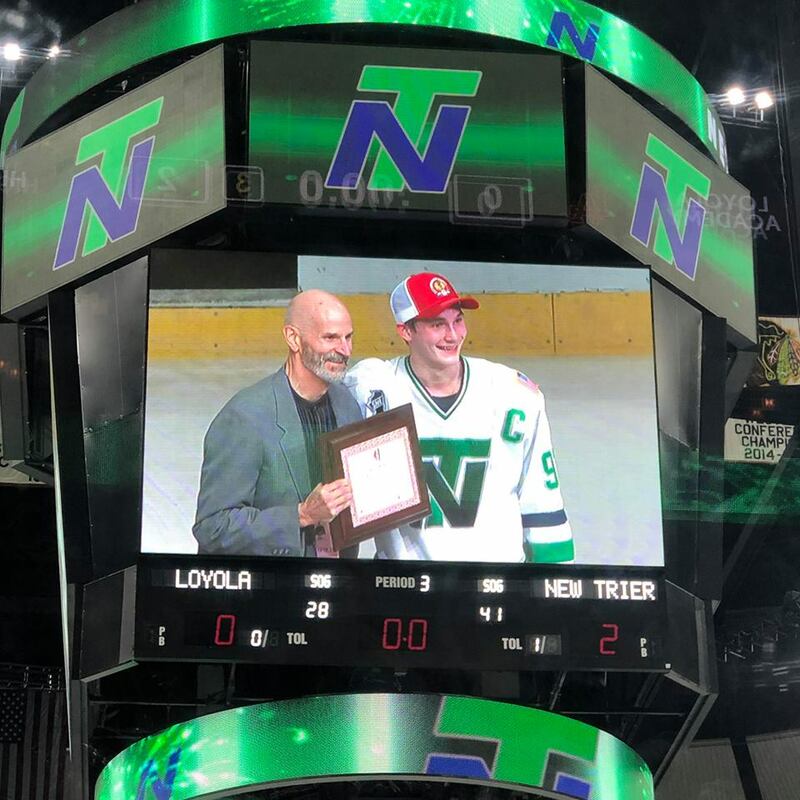 Green then stopped York 6-1 on March 5 and Saint Viator 5-1 in their next two games, pushing the Trevians into the state championship game, played Friday night, March 22, at the United Center. Arch-rival Loyola Gold was the opposition, and the Ramblers were seeking their second consecutive state championship. Green triumphed, defeating Gold 2-0. “I truly am blessed,” said Melton, who has now coached Green to 13 state championships in 21 seasons. “I never thought when I took over this job that I would have this type of success as a coach. “This year, from a team standpoint, was so enjoyable because we truly were a team. We used every player and prided ourselves all year of every guy on this team counts, every player contributes. Mark Ashmore tipped in Thomas Kempf’s second period shot at 9:25 for what proved to be the game-winner. Bobby Soudan gave Green a bit of insurance with about 3 minutes remaining in the second period, scoring off an assist from Brian Dolby, as the Trevians won their third state title in four years. “We really wanted traffic in front of the Loyola goalie, and our first goal, on the power play, Mark Ashmore re-directed (a shot), with a beautiful tip in (from in front of the net),” Melton said. Alex Pegler passed away unexpectedly on October 21, 2018, at his home in Chicago. He was 24, and a New Trier graduate. Pegler was one of the captains during the 2013 season when New Trier also won state, and he was an assistant coach this season. “Sure, we wanted to win it for ourselves, but we definitely also wanted to win it for Alex because New Trier Green was his life,” Melton said. “It was and is still very emotional,” talking about Alex. Soudan was named the game’s MVP. Green goalie Preston Watt returns next season, along with four defensemen and four forwards from a team of 23. The Trevians’ title also was the seventh championship for assistant coach Chad Bidwell, who has been coaching alongside Melton for eight year and he also won state as a player. Ross Forman has written about Illinois high school hockey for more than 15 years and is the only sportswriter to have covered Illinois High School hockey every year during that stretch. He played locally and then at Indiana University before becoming a referee. 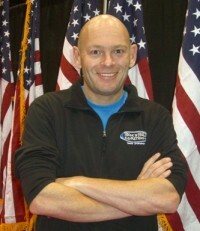 Ross was a referee for the State Championship game several years ago at the United Center. Contact Ross by email at Rossco814@aol.com.